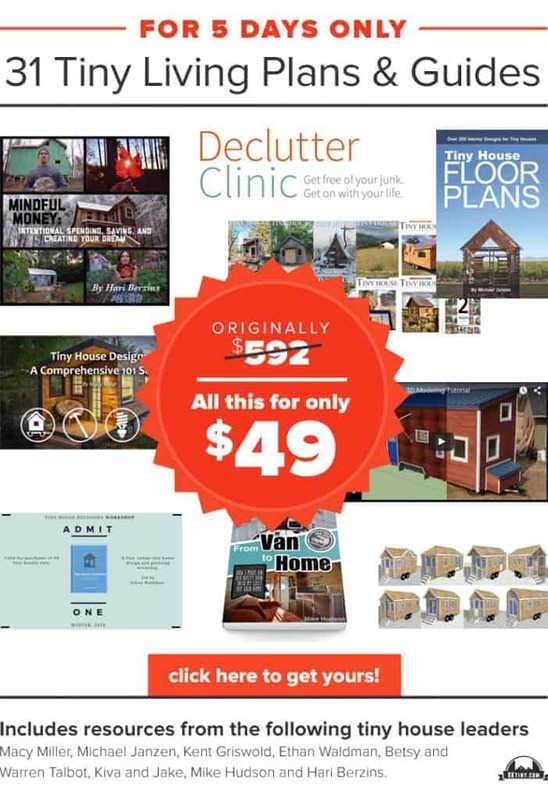 31 Tiny House Plans & Guides for $49! If you were following this blog last year, you may remember the amazing Tiny Living Bundle Sale of 2014. This year the sale is back even better than before with 31 Tiny Living Plans & Guides for just $49! This package would normally cost $592. But for 5 days only, just in time for the holidays, you can get it all SUPER cheap! Now might be the best time to get your tiny house plans truly started. Start downsizing, starting researching, start building and just do it! This sale only lasts 5 days, so hurry up and get yours while you still can! All told it’s $592 worth of products for $49. Get all this for $49!